I personally preferred to ground myself in the philosophical teachings and tenets for the first several yrs after entering the Vajrayana, and I still turn to studying regularly, and that has its place and its benefit to be sure, however something that is much more important and vital in Vajrayana is faith in the view and the methods. Of course one definitely needs a working knowledge of emptiness so as to not be grasping onto the meditations as though they're substantially and solidly existing, and one does have to receive proper teachings on the basics and fundamentals of generation stage practice (since that's what most students are practicing) and some measure of details about one's particular sadhana. But those instructions do not have to be exhaustive to be sufficient; they do not have to go through every last bit of the minutia of the sadhana. What one especially needs is the key points that will enable one to be on target with one's meditation and keep from going astray. Aside from that, so many great masters have emphasized that to practice with confidence and faith is a key point in Vajrayana that will lead to certain accomplishment. While it's true that the deities we visualize are not inherently or solidly existing like we're visualizing them or like they're depicted in thankas, this stuff is not a fabrication by some mind full of the ordinary proliferation of thoughts either. 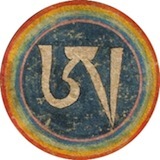 The source is inseparable wisdom and compassion, and that source is identical with our own true nature, so if one doesn't know every last detail of the visualization for instance, but one knows the fundamentals of generation stage and visualizes what one does know as clearly as one can and one has strong faith and vajra pride that everything is present and complete despite one's currently limited ability to visualize, then the fact that primordially speaking there is not an iota missing means that one will definitely get results from one's practice. Of course, if one can get exhaustive, detailed teachings, that is absolutely beneficial... What I'm saying is that, according to great accomplished masters past and present, approaching the path through the doorway of faith is an approach without fault. Practicing while obsessing over if the color is just right, or this or that detail is just right, with a mind full of doubts, on the other hand, will get one nowhere. narraboth wrote: hi, if they teach 6 yogas and you feel that it's no more than an introduction, then maybe students are not really qualified to practice 6 yogas yet. Or, actually the lama has taught some very essence points, but due to students' lacking experiences, they don't understand. Is it lama's problem? No! you should do the preparation by yourself, lamas can't do it for you. I mean, it's not about west. Western people are lucky, they always request high high teachings, and lamas agree to give. But when giving it, not many students can really accept or even understand it, so it all becomes an introduction. In East, lamas don't even give those high teachings to general students! When you are ready, you go to the lama, and lama will tell you what to do next. If you want something really cool, make yourself ready first, finish all the required ngondro etc first; and then you go to the lama privately, report what you have done and see if you are ready for higher teaching. Don't expect getting the most secret and essential teaching in a 100 people hall, not to meantion even the lama really gives it there, probably you won't know. I'm not even really talking about so callehd high teachings and empowerments. I dont place any importance on receiving such"high teachings" as I have %100 confidence that receiving such teachings will NOT bring one any farther on the path. What will help one is receiving teachings on meditation and so forth in as depth as possible from someone who has experience in meditation. Then hopefully that teacher will be able to show you how to make at least baby progress with out falling prey to the paths obstacles. I don't particularly see it as any great kindness for a lama to give such "high instructions" Though it is nice if you meet your root lama eventually and get a taste of the meaning in there presence. Then that is a kindness teaching one how to meditate on ones own mind and thus become free of illusion, " in higher rebi direcctionrth and liberation through ones signs of progress. Again it is not just about completing this number then that number I feel but wether one is pointed in the right direction to make progress in the path..
conebeckham wrote: My teacher teaches the entire path, soup to nuts. But you had best be prepared to do some serious practice, and some serious retreat, over a seriously extended time. If a student is ready and able to commit to extensive practice and retreat then I've never heard of a situation where they were unable to receive all the necessary detailed teachings and instructions, including translations of the necessary texts with commentary. Of course, different teachers have different styles, and there are some teachers who generally don't give a lot of extra explanation, maintaining that by doing the practice with a sufficient foundation of preliminaries, the practice itself will unfold and reveal deeper layers of meaning eventually culminating in realization. theres that word again "realization"
I guess there are less who can actually see the compassion of a teacher toward his students. There is a modern attitude which is very opposite to devotion. Actually those teachers are real hero's, but isn't it the same when we remember as we have gone to school. There was the same mood, the same depression, the same critic. And if we are honest and open we might say, actually the teacher who was the strangest, was one of them how taught me the most. Sometimes just patient is much more than any thing else we can learn. That remembers me on the time I used to learn with first class pupils in our small village in Cambodia. After learning a letter, we all used to say loud: "Thank you teacher, that I have learned the letter "Mo" !" and then we wrote the next letter on our small blackboard after deleting the last. There are still places where teachers are respected and honored in the right way, but they are growing less and less. We have internet and money, so every chance to get what we want. Not only normal Dana happens only if it is given freely with two hands and taken with devotion and two hands. Have you done the Ngondro? I mean ALL of it! You know the 111,111 times four schtick? You think Ngondro is nothing, just some boring, pointless crap? A monk friend of mine here in Greece has done that worthless lowly boring practice four times now. Do you reckon I should tell him he's wasting his time and should move onto higher practices? You done the 111,111 100 syllable Vajrasattva mantras? Pointless aren't they. No effect whatsoever. Do the basics, get firmly grounded and all the other stuff will come by itself. Actually, the oposite is true. The level of, scope, and accessibility of the teachings to modern western students is unprecedented. The combination of a threatened cultural heritage and modern technology has made inner teachings more available than ever before, to anyone. We are extremely fortunate. Maybe you are either looking in the wrong places or you dont like what you're hearing but your assessment couldnt be further from the truth. hey, now I understand more about what you were saying. Not every lama is superman, usually lamas have their 'special field'. Some lamas, like Khenpo or Geshe, they are really good at Buddhism knowledge. Some lamas are very good at ritual chanting etc. Some lamas are good at for example tsa-lung and some are good at meditation. A qualified lama should have a board and general idea of all fields, but he may not be able to go very detail on one certain field. What you said is, you and some others have experiences on meditation, you want some further things but you can't get. Then why don't you just go to the lama? You shouldn't expect every lama use supernatural power to read all students' mind in the room. In East, we go to teaching, and we also wait in queue to get private audience. I know that in many cases, people are just asking some selfish, not-practice-related questions in audience. But it's a different case if you really want to ask about your meditation. You should know that meditation need personalized instruction; a lama can only give general introduction when students are at so many different stages. Actually that's what private audience is designed for. If in audience you still find the answer couldn't help, you can seek a second opinion. It's not a betryal, just that lama might not have experience on a special field. I found it's more difficult to meet lama privately after teaching in West (at least in the UK) if you don't know the organiser. In West it's well organised, in good order, and a bit distant. There are many differences between East and West, but it's really not that lama only gives you western introduction stuffs and give good things to Easterns. At least it's not lamas' problem I think. As a student who wants to acheive liberation, you are supposed to be more aggressive on getting instructions. I can only speak with certainty of my own lamas, but I know they have held nothing back. Not so for newcomers and general audiences, for whom HYT and Six Yogas instructions would be clearly inappropriate, but for those who are willing and able to do the work AND who have the teacher's confidence, the whole path has been laid out in great detail. True. 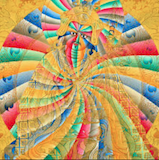 tamdrin wrote: It is how the path of TIbetan Buddhism is presented it is not "ultimate". Ultimate??? Like Ultimate Fighting Challenge? What do you mean by ultimate? Not a big deal? Know many people that have completed the whole Ngondro cycle? It is truly excellent to hear that you have completed Ngondro! Really, well done! So it seems that what you are suffering from is unfulfiled expectations. Am I wrong? Did you expect Vajradhara himeslf to come down from wherever the heck he is and pat you on the back? But really... what did you expect? Enlightenment? If only enlightenment was just about pounding out some accumulations! I wish! When I started Ngondro it was coz I wanted to be taught Chod, but now I am beginning to see that the path and the goal are not really different at all. So kick back, enjoy the passing scenery and just keep on practicing! PS Again... well done on "finishing" Ngondro! narraboth wrote: hey, now I understand more about what you were saying. You really have to insist sometimes, it is actually a traditional way to do it. Nangwa wrote: The level of, scope, and accessibility of the teachings to modern western students is unprecedented. The combination of a threatened cultural heritage and modern technology has made inner teachings more available than ever before, to anyone. We are extremely fortunate. I agree completely with this, but I also think there can be some problems with getting in contact with teachers in order to ask questions (although of course there's email). The other problem can be getting time to do retreat. Our society is not a Buddhist one - it's highly regimented to keep it all functioning successfully and there's no room for serious religious practice. These problems can all be overcome with effort and ingenuity, though. Just a quick note that I was not the one quoted, with regard to ngondro and the four thoughts......I think the "quote" function mis-fired in Greg's post. No biggie. As for me, I am reading Taranatha's Lam Rim--all about the Four Thoughts. Highly recommended, for all....I'm one for repeated exposure. conebeckham wrote: As for me, I am reading Taranatha's Lam Rim--all about the Four Thoughts. Highly recommended, for all....I'm one for repeated exposure. Can't say I've experienced anything which I can label as being restricted through being in the West. If I was a full time monastic or a full time lay practitioner (such as Ngagpa) I would of course be able to do more. However, aside from the language issue, I can't think of anything I would have received in a different or lesser way than if i was in Asia. Everything up to and including HYT and close personal guidance from a wonderful guru has been available to me in the UK. Is it so different elsewhere in the West or it is more a matter of personal circumstances? Yeshe wrote: Can't say I've experienced anything which I can label as being restricted through being in the West. I think it all depends on your direct access and proximity to a pure Vajra teacher of unbroken lineage and well kept samaya. I don't think it was much different circumstances at different times in Tibet: Marpa had to travel far, all the way to India, to get access to a lineage master of the caliber of Naropa. Milarepa had different circumstances, he didn't need to travel so far. Whether a teaching is high or low, ultimate or relative, depends mostly on you and your receptivity to the truth. Siddhartha got the most profound understanding of the meaning and purpose of renunciation just by going for a ride on his chariot. How often do we drive around and what understanding do we get from what we see? Receptivity and sincerity are everything. Jinzang wrote: Whether a teaching is high or low, ultimate or relative, depends mostly on you and your receptivity to the truth. Siddhartha got the most profound understanding of the meaning and purpose of renunciation just by going for a ride on his chariot. How often do we drive around and what understanding do we get from what we see? Receptivity and sincerity are everything. Yes in some ways the U.S. is like Siddhartha's palace: old age, sickness and death are hidden away. . to a certain extent anyway. It's almost impossible not to be confronted by it every moment in some parts of India.